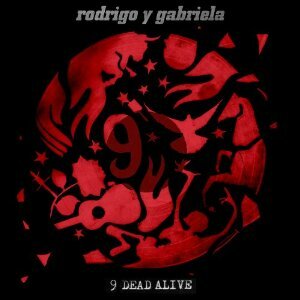 9 Dead Alive is the fourth studio album by the Mexican guitar duo and was released internationally on April 29th, 2014. According to their twitter, "each track is a personal celebration of individuals who have passed on, but through their words and deeds still resonate in the 21st century". This is Rodrigo y Gabriela's first album of new music in 5 years and is pressed on red vinyl. 9 Dead Alive also includes a download code with purchase.